A long time after enabling its users with the Direct message feature, Instagram is now reportedly testing a feature to enable video calls. The rumoured feature – if it becomes a reality – will make Instagram a step closer to Snapchat that already allowing its users to make audio and video calls alongside offering a dedicated chat option. However, Instagram has officially refused to comment on the new development. The video calling feature on Instagram, which was spotted by WhatsApp fan blog WABetaInfo, would let users make video calls directly from an Instagram Direct message thread. It is claimed to be initially available for internal testing, though a screenshot is available through the source to prove its existence. 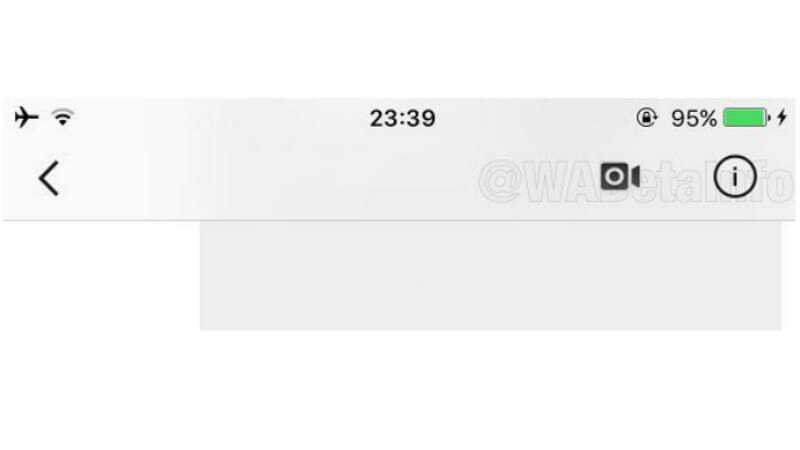 The leaked screenshot allegedly shows a new video call icon in the top-right corner of an Instagram Direct message, and it appears similar to what’s presently available on WhatsApp. The icon would enable video calling with a one-tap gesture when a user is within an active chat. Further, the video call feature is claimed to be available in the next few months for both Android and iOS devices. When asked about the authenticity of the rumour, an Instagram spokesperson refused to comment. “We don’t comment on rumours and speculations,” the spokesperson told TechCrunch. Interestingly, the statement provided by the Instagram spokesperson appears to be different from what the company generally gives to confirm queries related to upcoming features that are in the pipeline. We can take this as a hint and for now, consider that the leaked video calling feature might not become a part of Instagram totally. However, it would help Instagram enhance its user engagements through a feature like video calling as users nowadays prefer to always stay connected with their contacts, no matter whether they’re uploading a new image or adding a GIF to their story. It would also help it better compete with Snapchat, its main rival that it has ‘borrowed’ features from over the years. Snapchat offers a plethora of communication options to its users, including audio and video calling, apart from chat. Proof of the growth of video calling can be seen from statistics of the Facebook Messenger app, developed by Instagram’s now parent. Video chat sessions on the Messenger app reached 17 billion in 2017, two times that of 2016. That being said, the present model of Instagram seems to be largely focusing on giving users a platform to showcase their stories. Instagram Stories earlier this month added GIF stickers that come from Giphy. The Instagram app was also spotted recently with a text-only, written Stories support to give users choices other than Boomerang, Rewind, and Superzoom to reach the world.